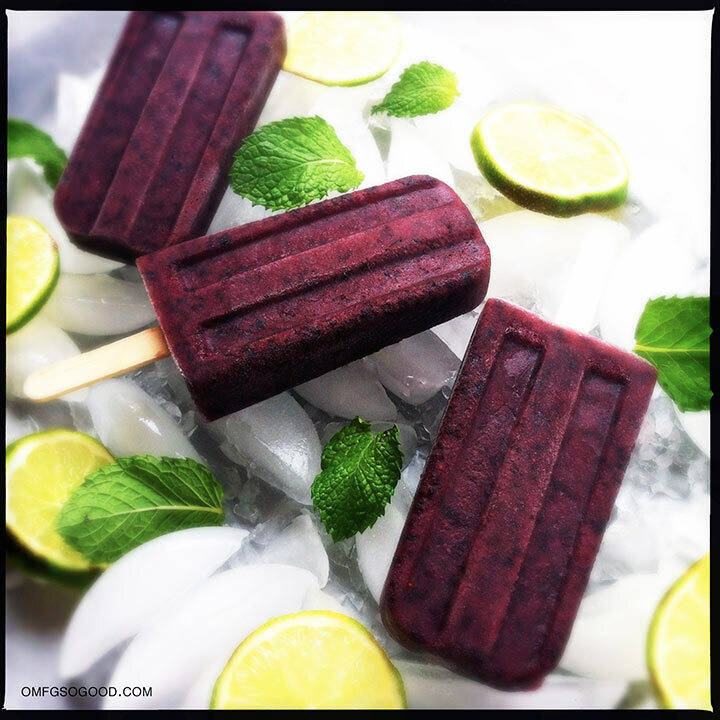 blueberry mojito paletas | omfg. so good. 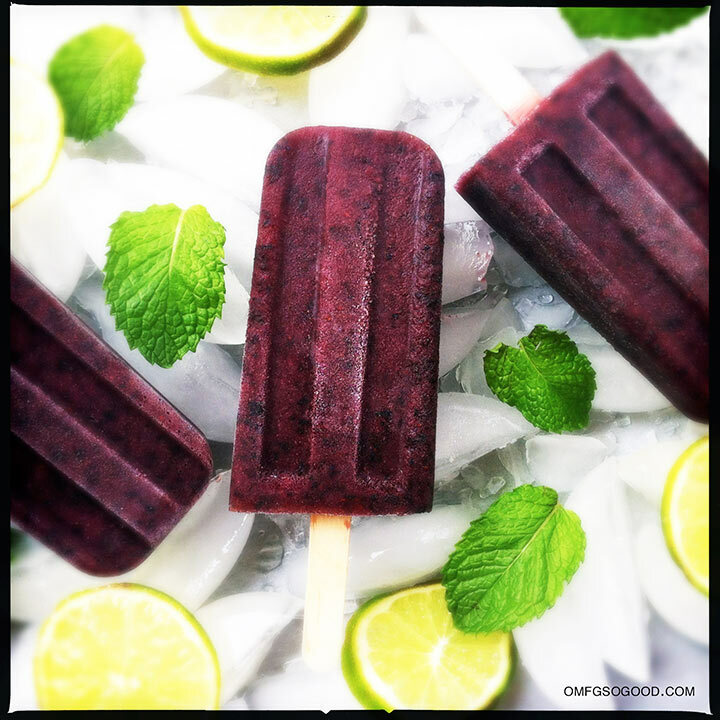 Remember a few weeks ago when I posted this recipe for refreshingly delicious Blueberry Mojitos? To make the simple syrup, combine the sugar and water in a small saucepan over medium-high heat. Bring to a boil, stirring until the sugar completely dissolves and the mixture becomes transparent. Remove from the heat, add the mint leaves and allow to steep as the syrup cools. Transfer to a sealed container and refrigerate to store. Combine the puréed blueberries, 2/3 cup of the mint simple syrup and lime juice in a glass measuring cup with a pouring spout. Give it a little taste test to make sure you don’t need additional simple syrup or lime juice. Don’t over sweeten though. Blueberries are one of the rare fruits that tend to sweeten as they freeze. If you’re good with the flavor of the mixture, stir in the rum. Pour the mixture into your ice pop molds, leaving just a bit of room at the top for them to expand as they freeze. Insert sticks and freeze until solid (4 – 5 hours, or overnight.) Unmold and transfer to individual plastic bags for storage. I’m going to dig through the freezer now to see if I can find one buried under the Maple Candied Bacon Bourbon Blondie Ice Cream Sandwiches I just made. But that’s a whole other story, for a whole other day. Oh my. I must make these, they look so amazing!